About – Kylar W. Broadus, Esq. 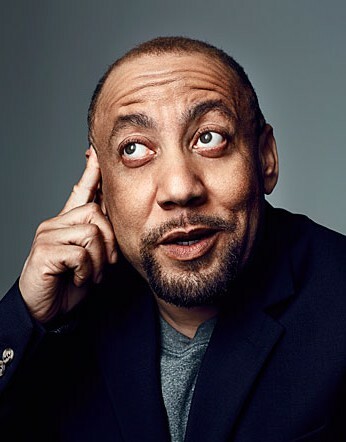 Kylar W. Broadus is the senior public policy counsel at the National LGBTQ Task Force and the director of the organization’s Transgender Civil Rights Project. In 2012, Broadus made history as the first openly transgender person to testify before the U.S. Senate, speaking in support of the Employment Non-Discrimination Act (ENDA). An attorney and former professor of business law, Broadus is a sought-after public speaker with an expertise in policy, transgender equality, and racial justice. The Fayette, Missouri native always knew the gender he was assigned at birth did not align with who he was inside. After seven years at a major financial institution, Broadus informed his supervisor about his gender transition. The work environment grew so hostile that Broadus left on a constructive discharge notice in 1997. When he sought legal retribution, the case was dismissed because there were no federal protections and in Missouri it was and it still is legal to discriminate based on gender identity or expression. Broadus has since committed his life’s work to advancing the policy, legal, and legislative concerns of LGBTQ Americans. In addition to testifying before the Senate, Broadus has shared his story on college campuses, at companies, and with numerous national media outlets. He has presented hundreds of workshops, panels, and seminars on LGBTQ legal and policy issues. In 2010, Broadus founded the Trans People of Color Coalition (TPOCC), the only national civil rights organization dedicated to the needs of trans people of color. He currently serves on the board of the National Black Justice Coalition, where he was board chair from 2007 to 2010. For over almost 20 years, Broadus taught law at Lincoln University of Missouri, a historically black college where he previously served as chair of the business department. From 1997 to 2013, Broadus also maintained a law practice in Columbia, Missouri, including the groundbreaking representation of lesbian, gay, bisexual, and transgender clients in family law, criminal law, and other areas. Additionally, Broadus has formerly served as the state legislative manager and counsel for the Human Rights Campaign (HRC), where he worked with state stakeholders to pass LGBT-inclusive legislation. In 2012, Broadus was one of thirteen openly transgender delegates to the 2012 Democratic National Convention. Adding to his impressive resúmé, Broadus has published numerous scholarly articles and chapters in publications such as Trans Bodies Trans Selves: A Resource for the Transgender Community and Transgender Family Law: A Guide to Effective Advocacy. And, in 2006, he authored the employment essay, “The Evolution of Employment Discrimination Protection for Transgender People,” published in Transgender Rights which was has been used in women’s studies, cultural diversity, and law classes and was the first of its kind. He is featured in the film Still Black: A Portrait of Black Transmen. In 2011, Broadus was awarded the National LGBTQ Task Force’s Sue J. Hyde Award for Longevity in the Movement and the Pioneer Award at the TransFaith in Color Conference presented by the Freedom Center of Social Justice. In 2013, he was recognized in the OUT100, an annual list of the year’s most compelling LGBT people. Thanks for this wonderful shout out! I greatly appreciate it! Cheers!